Did you know that one of the oldest French-speaking communities is found in North America? Did you know that, during the 17th and 18th centuries, this region had the highest percentage of French speakers globally? Did you know that this province is the only North American region that has French as its sole official language? Quebec French is based on the French that was spoken in Paris during the 17th and 18th centuries and, for this reason, the language retains many old French verbs, vocabulary and ways of talking. But how exactly did this come to pass? In the 17th and 18th centuries, during the European colonization of the Americas, the French royalty sent Parisians to populate la Nouvelle France (New France, aka Quebec, Canada). At that time, Paris was the only region of France that spoke modern day French, so guess what happened? Quebec ended up being the center of the francophone world. The influx of new settlers grew the local population until it boasted the highest percentage of modern French speakers! That’s right, France. Quebec set the trend! Quebec is situated on the Eastern Atlantic Coast of Canada. There, French is the native tongue for 6,102,210 speakers in a provincial population of 7,633, 120, which corresponds to approximately 78% of the population. However, nearly 95% of the population holds French as either their first or second language alongside English…a bilingual haven indeed! Within Canada, French is the second largest native linguistic group representing 22% of the population, following English at 58%. In fact, English and French have equal legal status in government following the Official Languages Act sworn in on September 9, 1969 by francophone Prime Minister Pierre Trudeau. Is there a difference? Oui et non (yes and no). Let’s say you were to receive an email or letter from a Québécois (Quebecer) and another from a Français (French person). They’d read about the same. Both regions use standard French in writing, aka, the same grammar rules, verb conjugations and sentence structures. The difference arises in accents (which you’ve already perfected, obviously) and word choices as both of these French variations are quite rich in variety and vocabulary. However, remember that there’s no “one way” to speak français de la France (French from France) or français québécois (French from Quebec)—sometimes people even mix the two! With that in mind, let’s explore four important language differences that set Quebec French apart. Below is a list of 10 vocab words used often used in Quebec French to help you learn to parler québécois (speak Quebec French). The French from France equivalent is put in parentheses to compare, so check it out! You’ll notice that, in both sets of regional vocabulary, the French language has picked up words from English. For example, in numbers 2, 3, 4, 6 and 10, Quebec French has words that are taken directly from English, which makes it super easy to memorize them and use them! *Keep a special eye out for number 9 in Quebec French (un chandail) as this can be used to refer to a sweater or a t-shirt. You can simply say un t-shirt, but be aware that when Québécois say chandail they could be referring to either or. Do keep in mind that Québécois will understand both sets of vocabulary, but will most definitely use the first row in everyday conversations with other francophones from Quebec. Now let’s have some fun and combine the first list (our vocabulary) with the second list (our verbs) to make some real Québécois phrases! *In Quebec French, feel free to use the word “cute” just as you would in English. In France and in most francophone regions “cute” is mignon/mignonne and, yes, they’ll giggle at you if you use “cute” instead. Go ahead and make more Québécois word combinations using the two lists! Okay, this is as confusing for French visitors in Quebec as for the Québécois that visit France…so don’t get discouraged here as an English speaker! I still laugh when I think back to all the confused faces of French clients while working at a local boulangerie (bakery) in Quebec City. Upon looking at the menu, they’d start to wonder aloud…”mais ce n’est pas l’heure de déjeuner? !” (but it’s not lunch time yet?!) Let me explain, just as I did many times back then. In Quebec, eating time vocabulary is quite different from that found in France. As an English speaker, you’re in luck because the vocabulary resembles English a bit more and extends to both Switzerland and Belgium. There’s a tricky exception, though, so pay attention here! Memorize these differences or you might end up eating the wrong meals at the wrong times! *How to avoid potential pitfalls: in Quebec, the words for lunch (dîner) and dinner (souper) are identical to the English words, dinner and supper….except that dîner is consumed in the afternoon! This is a bit confusing, but as long as you bear in mind that souper is supper, consumed in the evening, then dîner will naturally fall in the afternoon. People say that the Québécois accent, is chantant (sing-songy), when compared to other Francophone accents. This is often seen in a positive light as Québécois are seen as pleasant and friendly people in the eyes of the French-speaking world, and so their accent is taken pleasantly too! Like any language, there’s no standard Quebec accent as every city and town has its particular way of talking and using unique slang. Take for example the city of Montreal, where people supposedly have a “posh” accent compared to those from Quebec City. Whether this is true or not, it’s indeed true that Quebec has its own unique French accent and it can be a challenge for untrained ears to pick up on. Wanna hear it? Switch on your subtitles and start clicking on the videos below! Remember that vocabulary list from the first section? Take a look at how everything there is pronounced by a girl from France and her friend from Quebec. 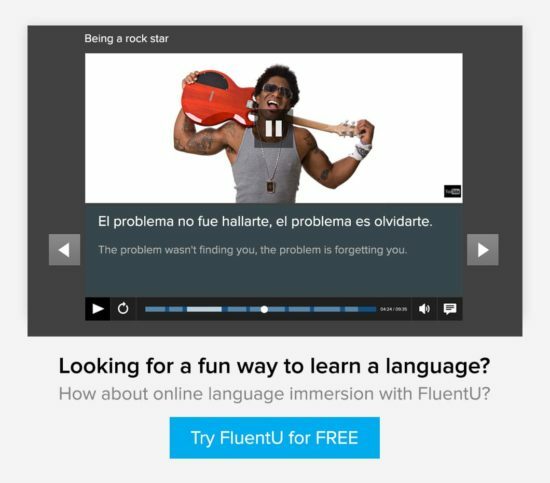 What about hearing the same expression pronounced with both accents? (Includes English subtitles). You wanna hear a real straight-up Québécois accent? Check this girl out, but put on your subtitles because you might get lost! Remember how I mentioned that sometimes these accents get mixed up? Check this crazy phenomenon out here with this Quebecer-French girl who embodies both of these accents side-by-side. She literally goes back and forth between both accents in every sentence…very unique! A particularity of Quebec French is the replacement of il (him or it) with the sound/letter y. For example, it’s common to hear Y’est malade (he is sick) or maybe Y fait bon (it’s nice out). A similar phonetic phenomenon occurs with elle (she or it) with the letter a and an extended a sound. For example, you might hear a mal au ventre (her stomach hurts). The chu sound to replace je suis (I am) is quite charming. You’ll hear Québécois saying chu fatigué (I am tired) or chu en retard (I am late). Remember that Québécois can write and speak in perfect standard French, so when it comes to asking questions in formal settings they’ll use vous (formal you) and say it exactly as you would in any other French-speaking area, for example, est-ce que vous avez faim? (are you hungry? *formal). But when kicking back or talking amongst one another in casual settings, there’s a little spin on sentence structure when we pose des questions (ask questions) in Quebec. Okay, the bold gave it away. They add tu (you) at the end of the question. Firstly, this is to reinforce to whom the question is directed (you). It’s also done because it sounds quite nice. Try saying the sentences above out loud. Another note is the use of vous. You’ll notice that, in Quebec, the standard rule is that vous is always and exclusively used in all formal settings or with people you don’t know. In France, although vous is used, it’s not uncommon that tu is heard around offices and in otherwise professional settings. A little explanation is required to understand the dynamic of French in Quebec and Canada, as it’s quite a political topic. The province of Quebec nearly separated from Canada twice, and there are many laws in place to promote the usage and protection of French as opposed to English. In Quebec today, big efforts have been made to omit and erase English intrusions into the language in order to preserve French, sometimes resulting in the invention of new words in order to offset the influence of the heavily Anglo environment. How so? Stop signs say ARRÊT, instead of STOP as they do in other Francophone countries. Faire du shopping (to go shopping) was turned into faire du magasinage or magasiner (from the word magasin, which means store). Un mail or e-mail, commonly used in French, is exclusively un courriel in Quebec. Le week-end is always la fin de semaine in Quebec. Pretty creative sentences! 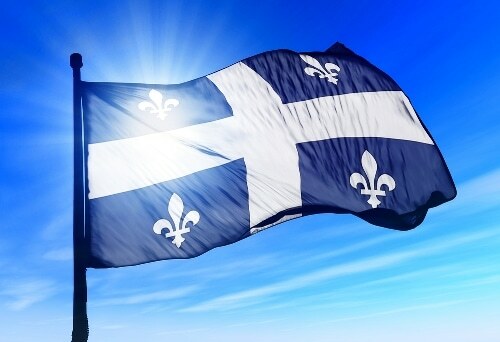 Quebec is the perfect place for a bilingual to experiment or for an English speaker to transition into speaking French! *Keep in mind that, nowadays, many languages mix and match words, especially with English given its global prevalence. That means it’s possible to hear “Je suis dans le rush et je suis hyper speed” in France or other francophone countries. With that in mind, rarely will a francophone speaker outside of Quebec conjugate English verbs using French grammar, i.e. plugé, uploadé, crossé. To top off your Quebec French experience, let’s equip with you with three typical Québécois expressions that you’ll hear partout (everywhere)! Just like France has its particular expressions and phrases, so does Quebec! Not only do you now have the benefits of speaking French, but you now have some serious linguistic variety. Feel like a Québécois yet? I bet you do, baby! Here’s a sweet sweet song to put you in the groove of things! À la prochaine les amis! (Until next time, friends)!